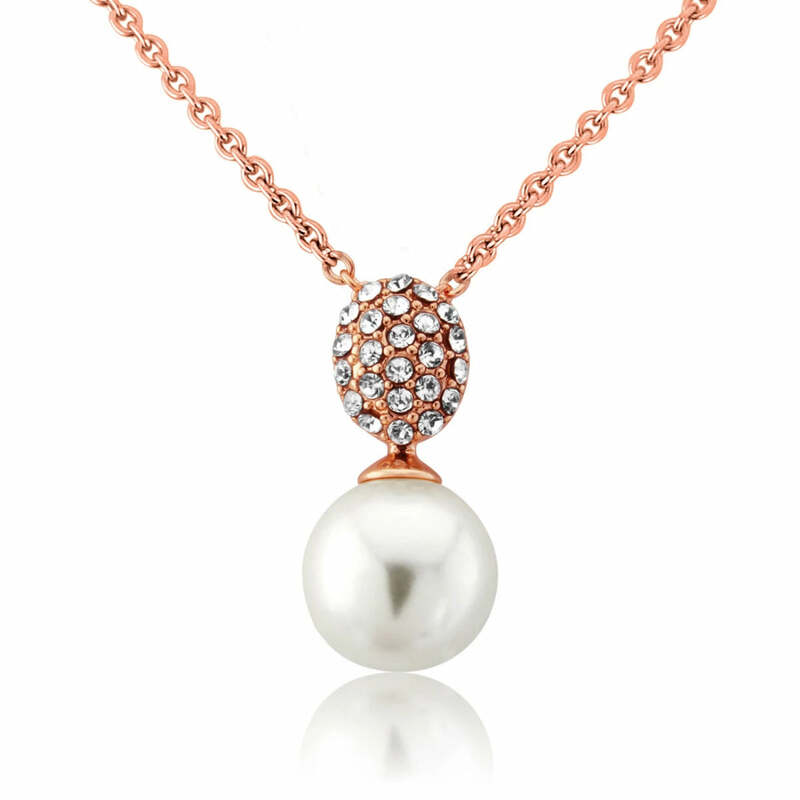 Our Elegance of Rose Gold Jewellery Set features a delicate pearl and crystal pendant and earrings which combine classic charm with contemporary rose gold shimmer. 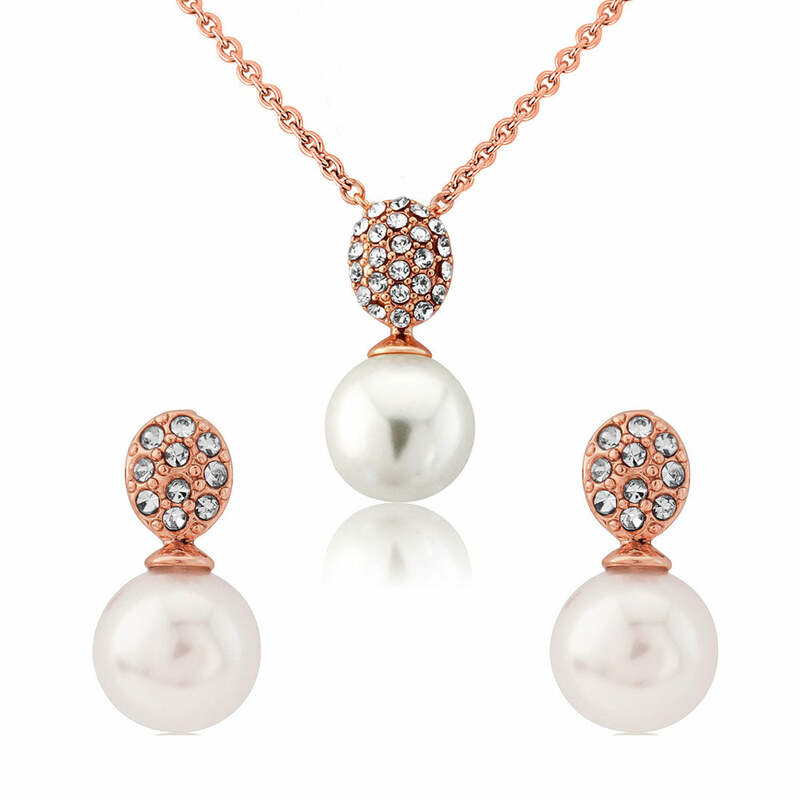 Dainty and delicate with a wealth of style, our Elegance of Rose Gold Jewellery Set is the essence of modern-vintage class. 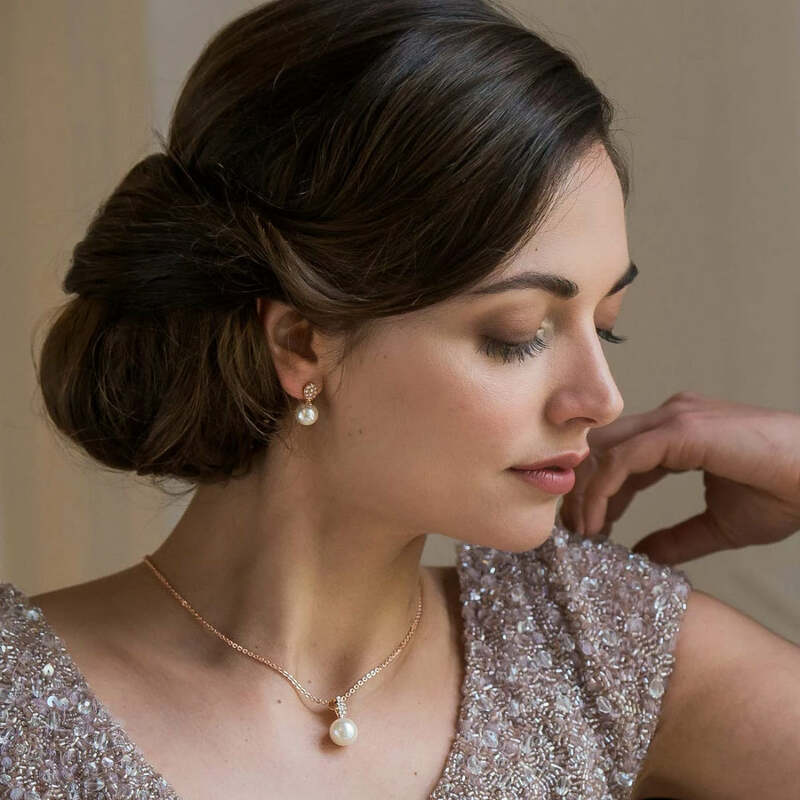 Featuring a pretty ivory pearl pendant and matching earrings with shimmering Austrian crystal accents for a look that infuses romance and glamour. A beautifully subtle bridal jewellery set for the bride who adores unstated charm, the blushing hues of rose gold tone adorn with the most enchanting glow. Coordinate your aisle style with peach or soft pink flowers for the most divine look or give this divine duo to your bridesmaids a gift they'll treasure and wear long after your special day. 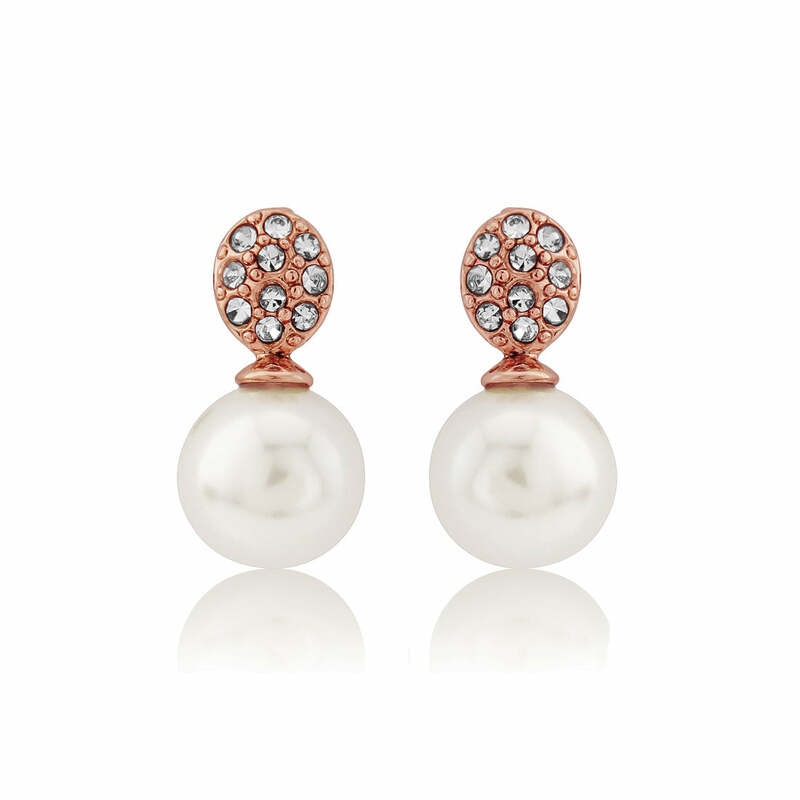 Perfect to add a touch of classic shimmer for all occasions, Elegance of Rose Gold adorns with a style that oozes contemporary class with a hint of bygone glamour.